As was speculated last year, the NCF has confirmed that Foreday Morning 2014 will be moved from Friday night to Saturday night and to an earlier start time, in an apparent attempt to overcome some of the challenges facing the event. We will therefore be hitting the road this year on Saturday, August 2 into the morning of Sunday, August 3. The Mix Nutz team hopes that this change will go some way towards improving the overall operation of the event, for the enjoyment of all revelers. 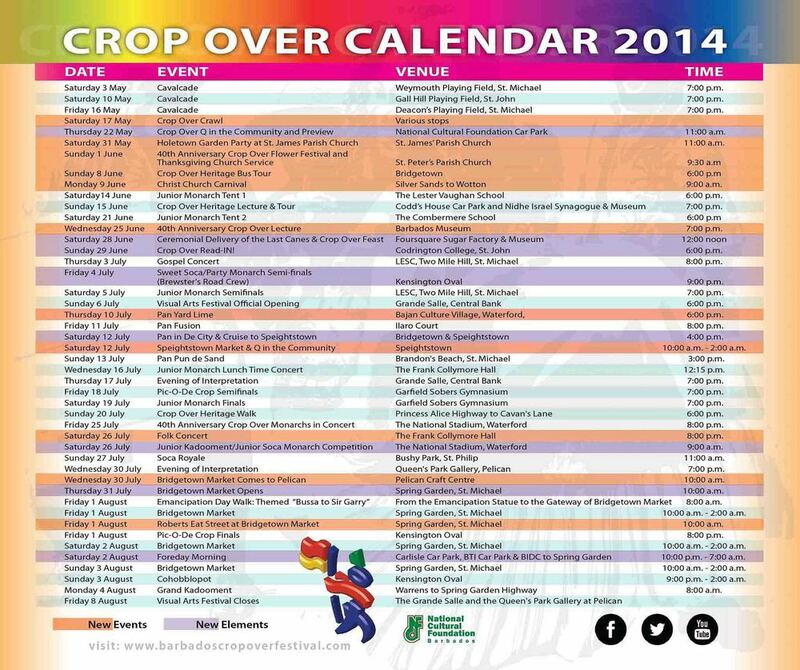 Check out the NCF's Crop Over Calendar below for more details on all of the official events for the festival season.